Used where only letters are required and it is difficult to transfer the letters. There will be an outer lamination provided to the label for lifting the label and pasting it on the desired surface. The letters has to be of reasonable thickness, so that it has good adhesive base to stick. 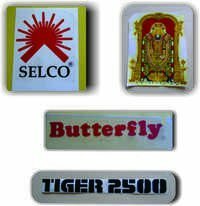 Application: Cars, Two wheelers, Branding etc. 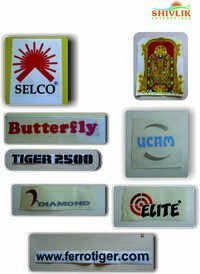 Water Transfers:Labels are very thin. One cannot feel the labels after pasting. 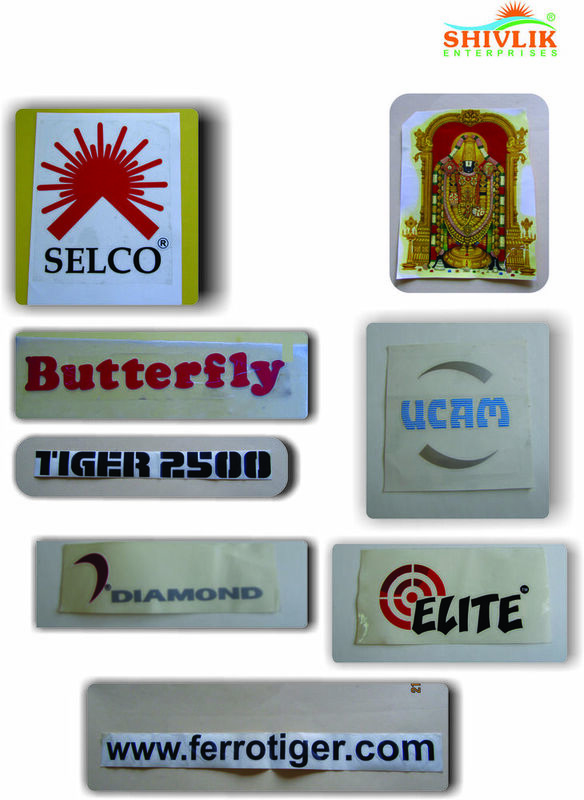 Labels can be transferred to the desired surface. Application: Helmet, Auto mobiles etc. 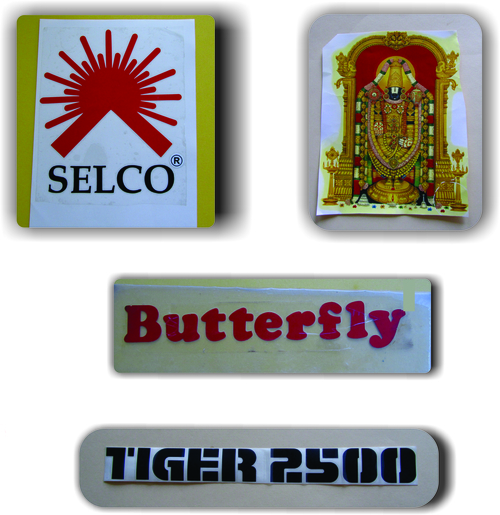 Print Transfers: Print can be transferred to the desired surface by heat and pressure.